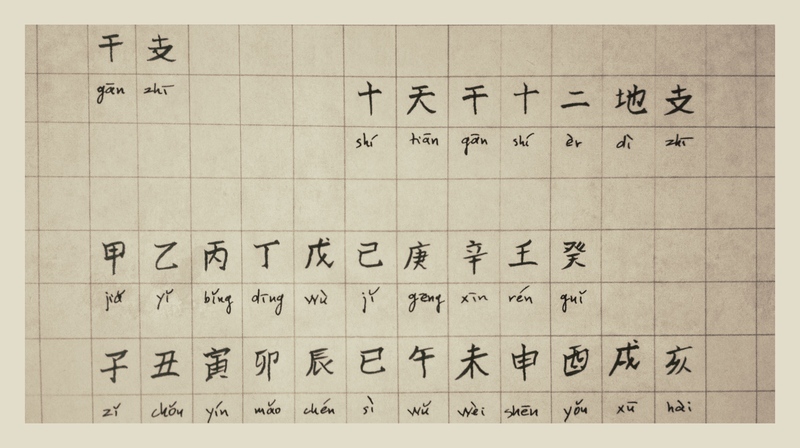 This article shortly named gānzhī (I do like Chinese, they make new words easily just pairing the ending of one term of the two glyphs with the ending of another term of the two glyphs too) but the full picture would be nicer for us if the title will sound shi tian gan shi er di zhi, Ten Celestial Stems and Twelve Earthly Branches. Wait a second, what we can do here? Well, let’s call it TCSTEB! Following Christopher Cullen’s entry we can see the beginning of use a ten-day period in ancient China (xún 旬) in the Shang epoch (1600-1045 BCE), probably one millennium BCE sixty days cycle was added by pairing (!) 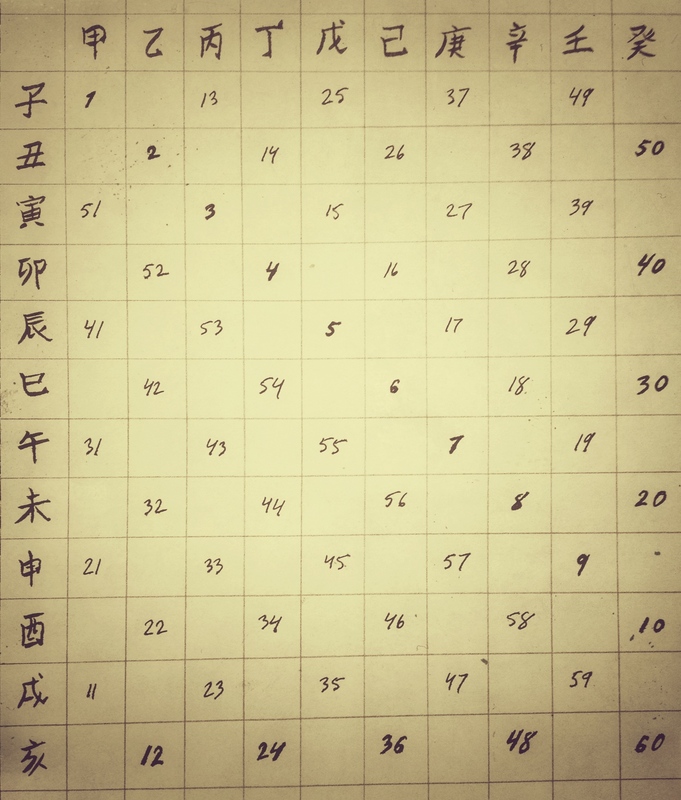 of the ten Stems with the twelve Branches, and from the Han time (202 BCE-220 CE) a cycle of sixty years was in service. 60 guihai, 1983 or 2043 etc. By the way, if you will slowly follow to every number from one to sixty you will feel that your eyes make a figure ‘8′, and the process will repeat itself five times, or until you will be tired. And there is a kind of rhythm here too. Numbers will dance in the special rhythm in one place! Is that amazing!